Recall from a spring blog post that Harv was diagnosed with a pulled distal sesamoid ligament. He recovered uneventfully. 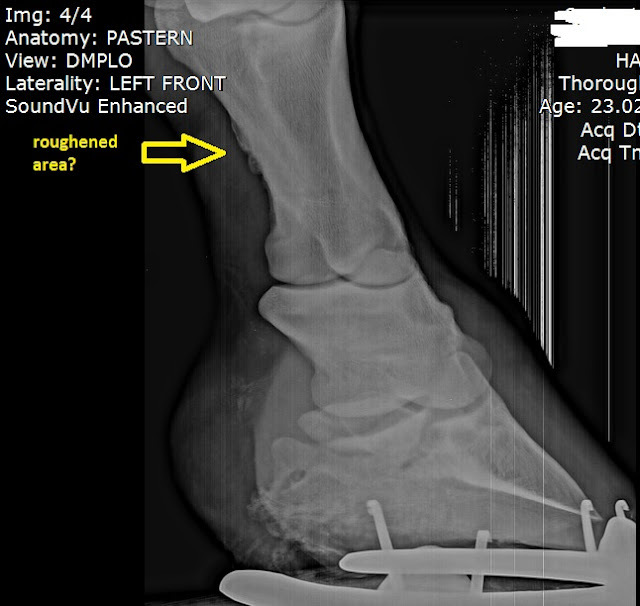 Anyway, here are the very belated x-rays showing the "pull" which appears as roughened areas of the bone. The rest of his joints look pretty clean for a fellow of his age. Interesting to see the changes from the pull, though. Glad he is doing well now. 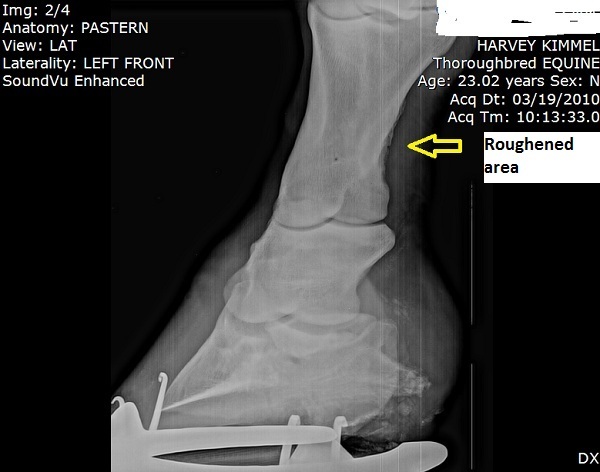 Those x-rays look EXACTLY like my horses that she just got done a few weeks ago (I posted them on my blog too!!) The Vet thought that there was a bone fragment, so we went into the hospital last Thursday to have surgery on it and remove the fragment (because the surgery would have been covered) and I got a call from the vet saying they did their millionth ultrasound and that they couldnt' actually do surgery because she torn the ligament from the bone, hence the changing of the bone and the lump. 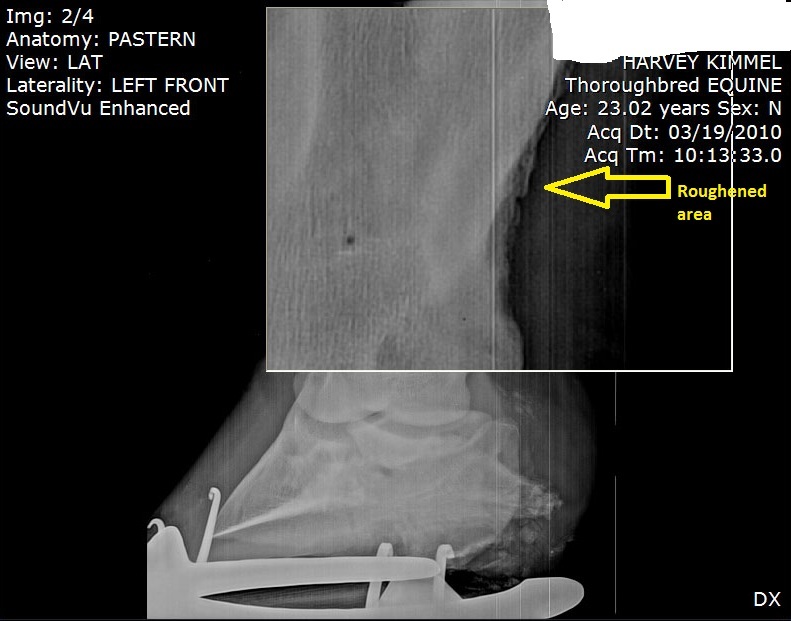 I'm wondering if I should get a third opinion because her leg looks just like your ponies. Sorry for babbling.I'm thinking out loud. My girl is 6 and falling apart.